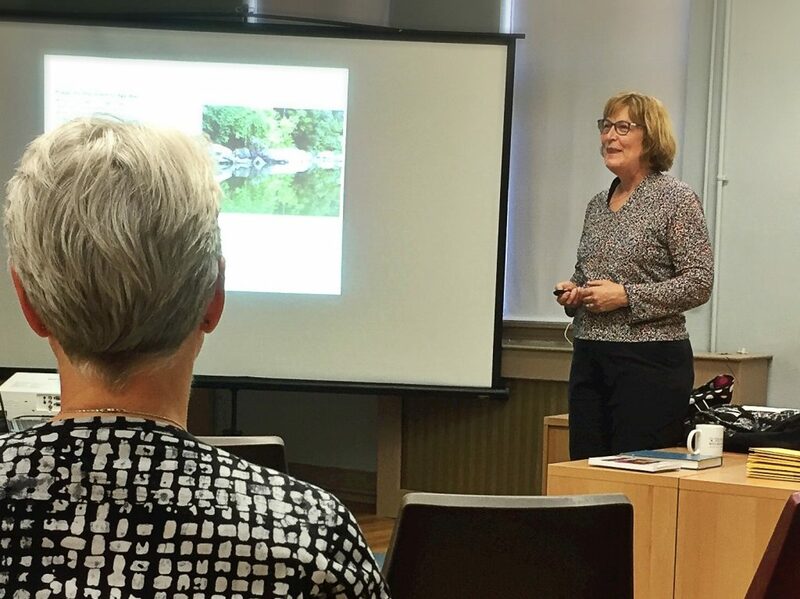 Dr. Janice Hicks is tapping into a widespread need in parishes for resources to support ministry with people with dementia, their families, caregivers and community groups. 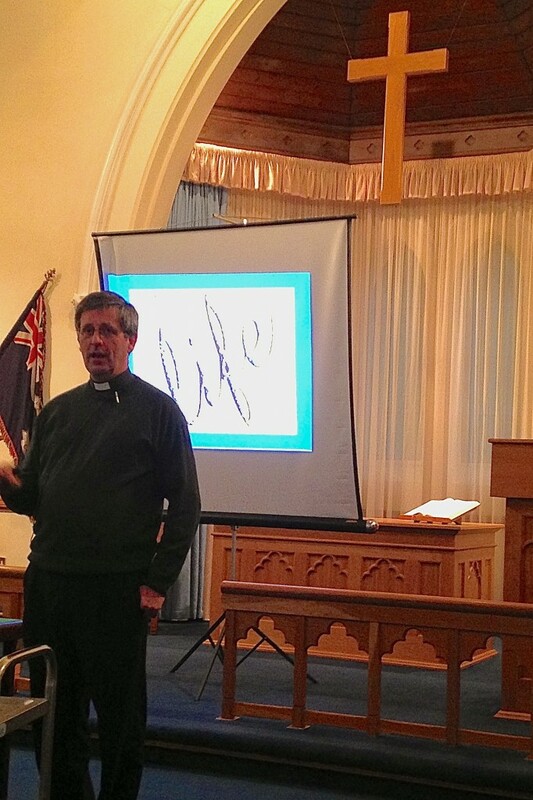 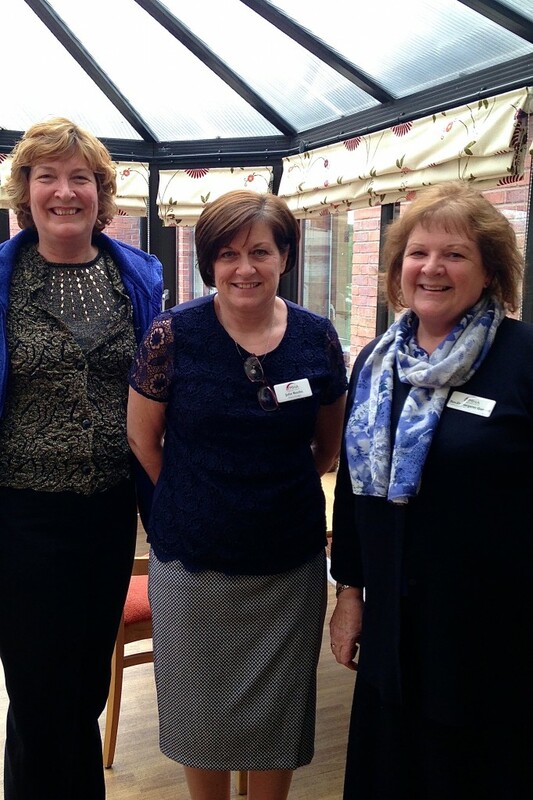 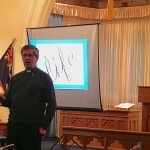 Hicks’ initial research involved exploring the Dementia Friendly Church movement in the UK. 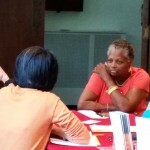 Visiting in early summer 2016, she interviewed several leaders in the movement (see photos, below). 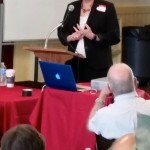 She built on their resources and experience in developing a program for US churches. 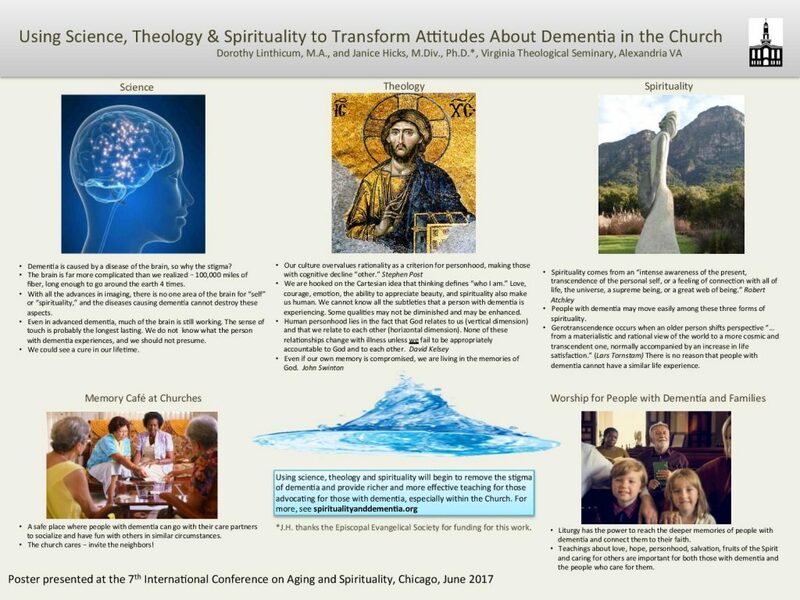 Also during the summer, she conducted interviews with physicians, dementia professionals, social workers, chaplains, clergy to further assess the needs and availability of resources. 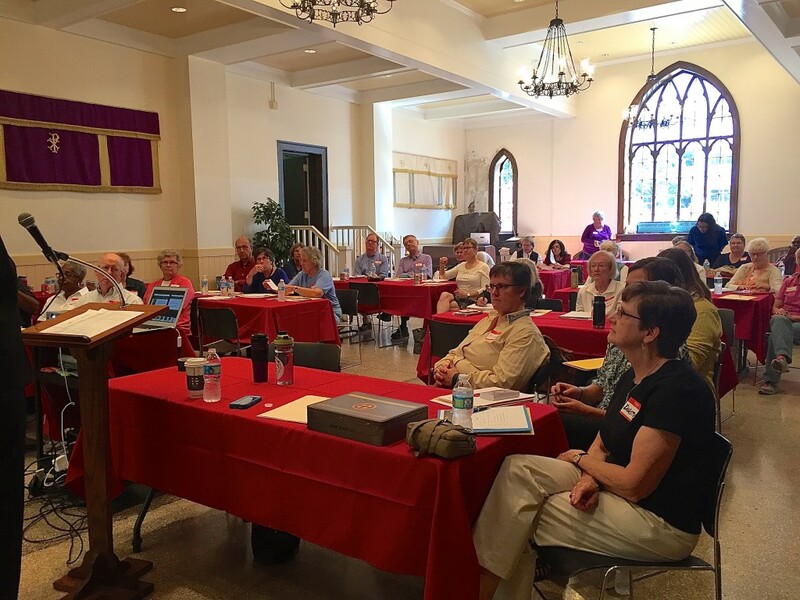 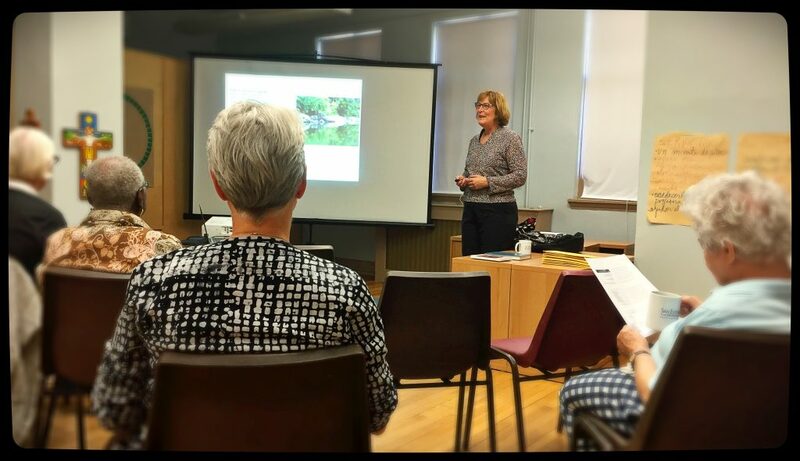 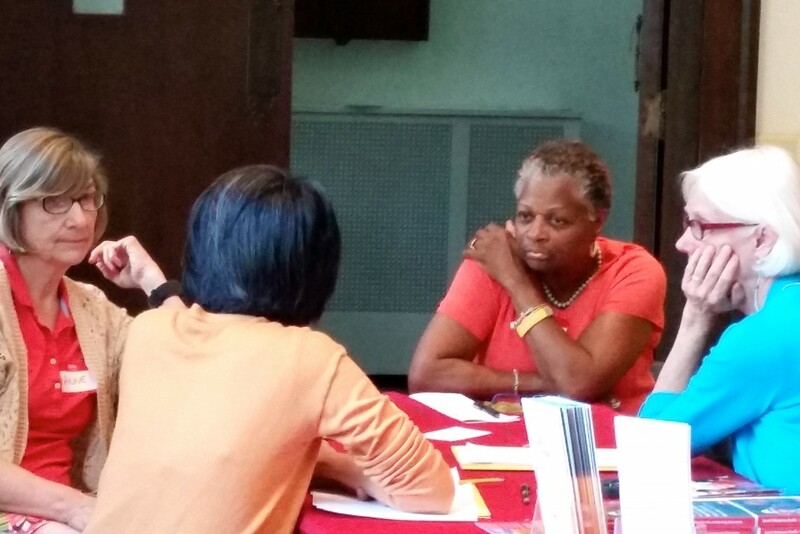 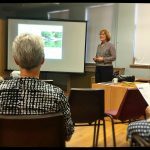 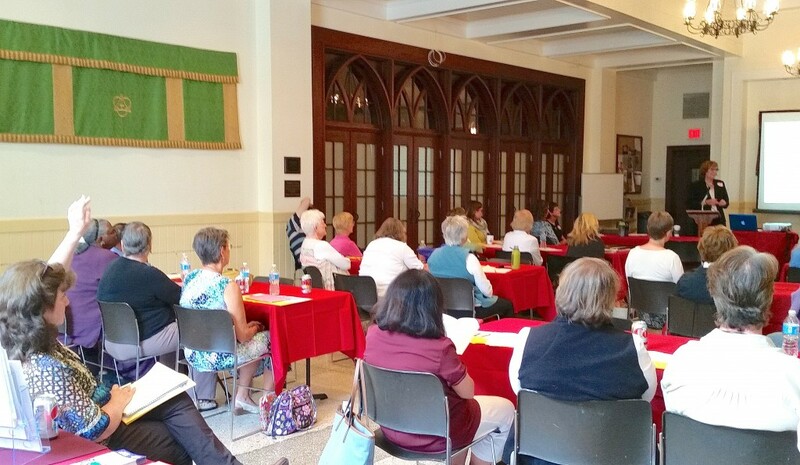 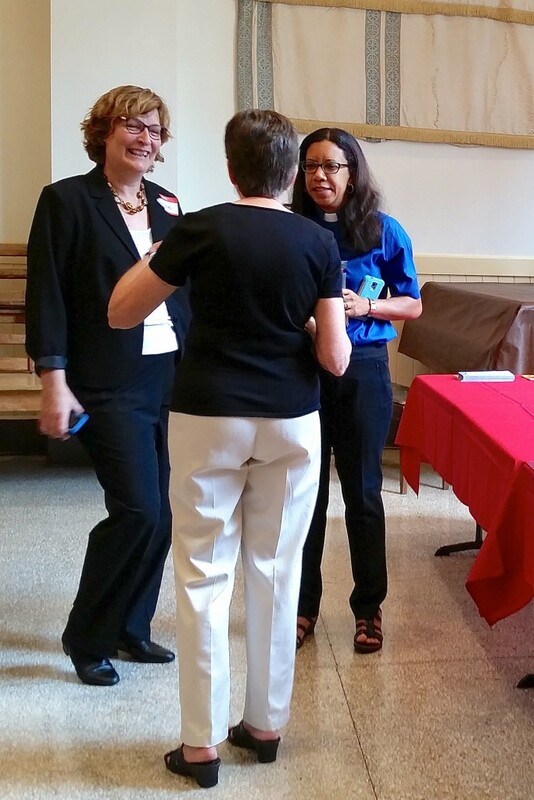 In September ’16 she held a workshop “Creating Dementia-Friendly Churches” at St. Margaret’s Episcopal Church in Washington, DC. 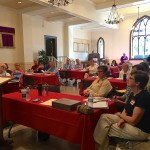 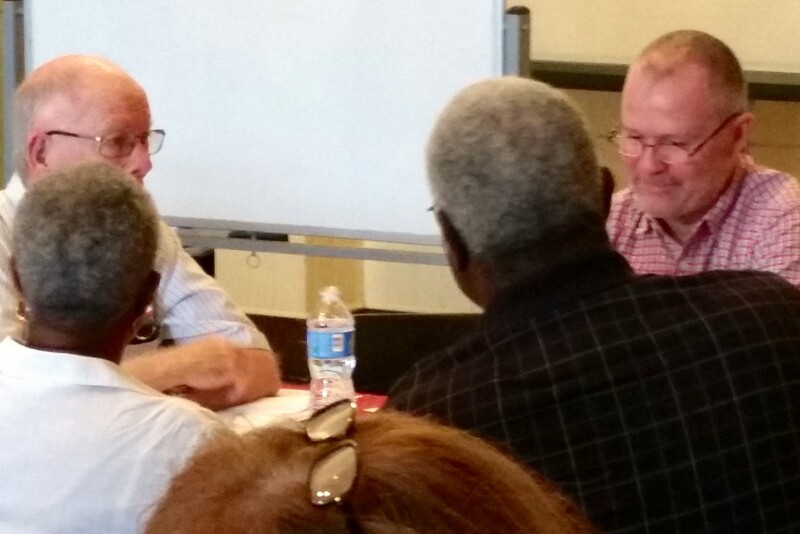 The professionals in attendance were interested in learning about the spirituality of dementia, while the community leaders were excited to see the church engage this aspect of life. 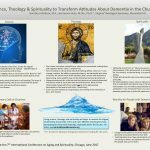 Hicks sees a role for the church in providing hope, making a difference and continuing to shepherd the spiritual journeys of people with dementia. 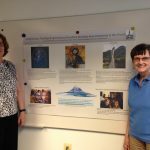 She continued her work with a subsequent grant in the ’16-’17 grant year. 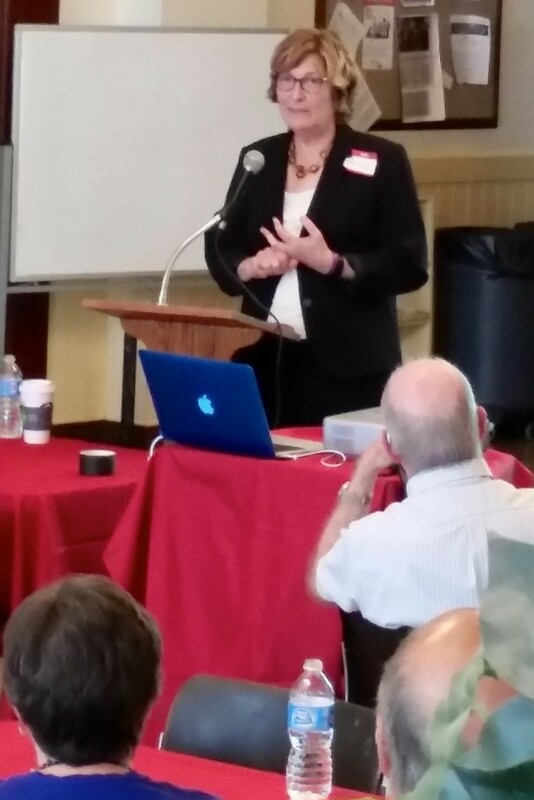 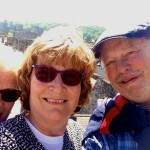 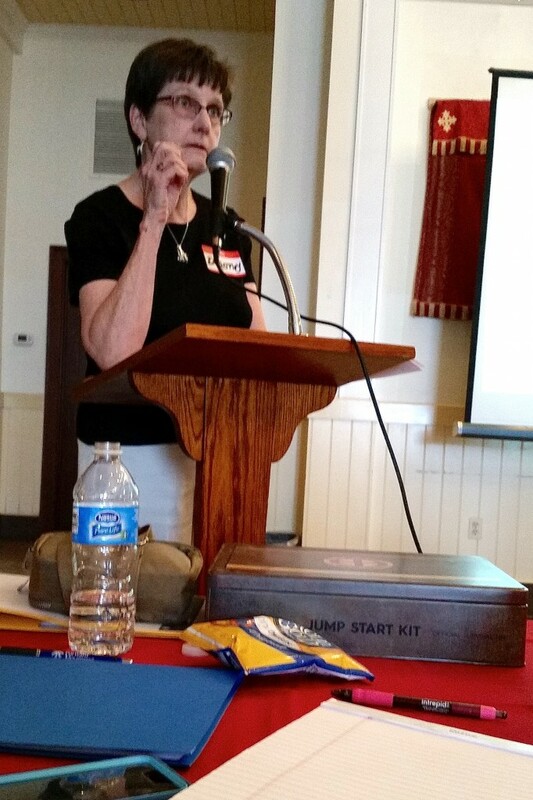 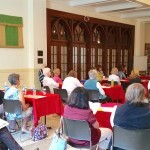 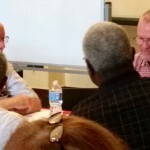 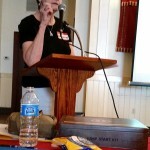 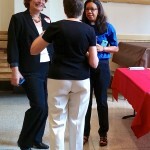 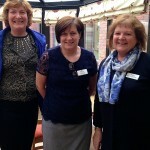 During this phase, she continued to develop her network in the Episcopal Diocese of Washington, making presentations and connecting others who would develop dementia ministry in their contexts. 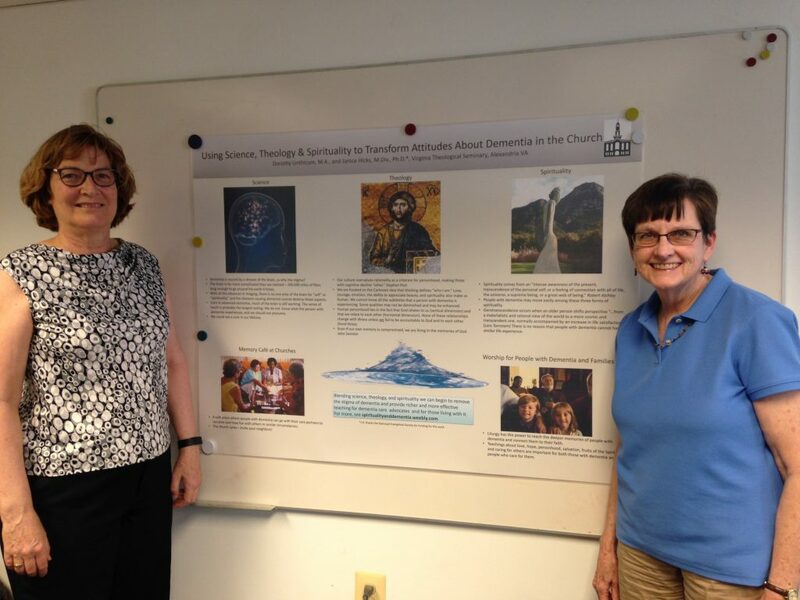 Together with Dorothy Linthicum of the Center for the Ministry of Teaching at Virginia Theological Seminary, she prepared a poster, “Transforming Understanding of Dementia in the Church;” it was presented at two academic gatherings. 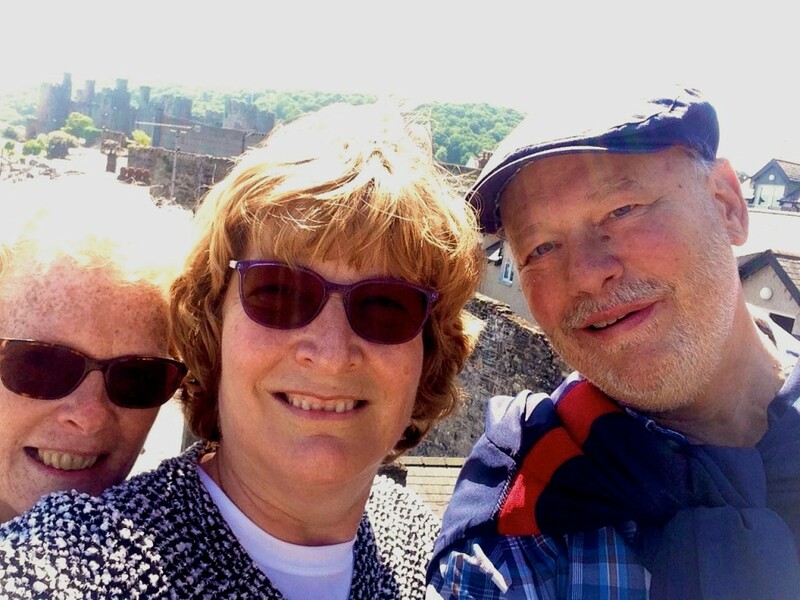 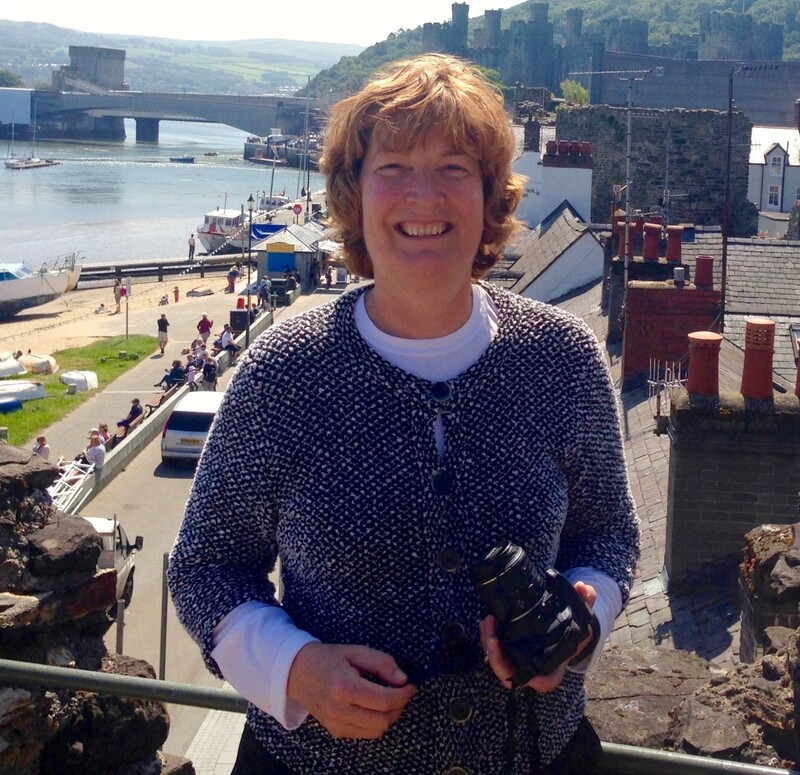 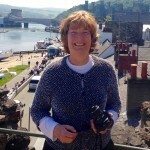 And she has written an article for Sojourners that tells the story of her own transformation through dementia care and inspires churches to try similar ministries.